Vinyl and linoleum flooring makes it possible to add the beauty of natural wood and stone to any room in your home, at a fraction of the cost. This allows home and business owners to enjoy a high-end look in rooms where moisture could easily cause damage, like bathrooms and kitchens. Modern Portland vinyl flooring and linoleum selections come in an endless array of styles and colors, so your palette is only limited by your imagination. At Area Floors, we offer Portland linoleum flooring and vinyl products from the biggest names in the industry, all at competitive prices. If you're a contractor or designer, your clients can walk into our showroom and get professional assistance from one of our in-house flooring specialists. While we let them see and touch our many vinyl or linoleum flooring options, we keep you free to concentrate on other aspects of the job. Our team of experts is ready to help you find the vinyl and linoleum flooring products that offer the perfect balance between form, function, and affordability. 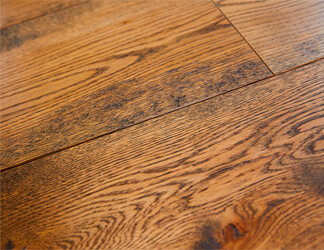 Are you ready to find the perfect flooring for your Portland home or office? Let's get started. Your skin contacts no other surface in your home as often as your flooring. Modern vinyl and linoleum flooring is durable, affordable, and comes in an almost infinite variety of patterns and colors. Still, there are some key differences between vinyl flooring and linoleum flooring that should not be overlooked when selecting a product for your home or office. Budget-conscious buyers are especially thrilled to discover that vinyl and linoleum floors can last for decades while offering the same elegant beauty as hardwood and stone flooring. High quality vinyl and linoleum can be almost indistinguishable from far more expensive flooring choices, even to a trained eye. This means that you don't have to sacrifice an elegant touch just because your active lifestyle doesn't warrant an exotic hardwood floor. At Area Floors, we can help you find the perfect Portland linoleum flooring or vinyl products for your home or office, all at competitive prices. You can walk into our showroom and get personalized help from one of our in-house flooring specialists, who will let you see and touch our many vinyl and linoleum samples. We want you to make the best choice possible, so let our experts help you bring your creative spark to life. 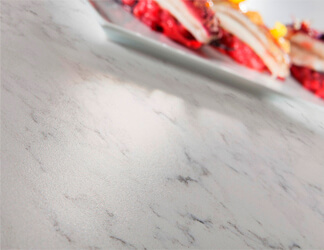 Many of our customers are initially confused about the difference between vinyl and linoleum. The following information will help you zero-in on what you're looking for before you come to our showroom to browse through our samples. 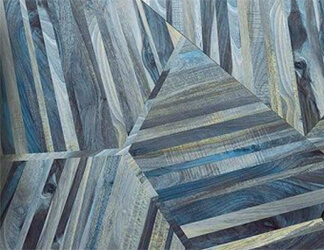 Sustainability - Portland linoleum flooring products are made from renewable resources, and vinyl flooring is not. This is because vinyl is a petroleum product and linoleum is made primarily of linseed oil. 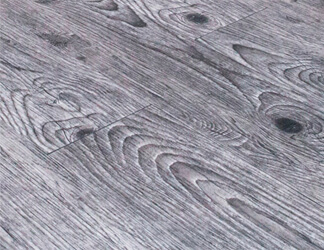 Ease of Instillation - Vinyl flooring is one of the easiest to install, but it does require that the subfloor is even and free from debris and dirt. Linoleum installation is very similar, but it must also be treated with sealer to prevent moisture from damaging the product. You can purchase either product in sheets or tiles. 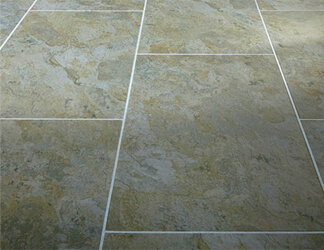 Portland vinyl tiles are very easy to install, which is especially appealing to DIY enthusiasts. Moisture Concerns - As mentioned above, vinyl is entirely waterproof while linoleum requires a sealer to maintain a water-resistant state. This linoleum sealer must be applied periodically to maintain moisture protection, which is something to consider if you're thinking of installing this flooring in your bath or kitchen. Cost & Durability Comparison - While linoleum can cost more than double what you'll spend on vinyl, it also last twice as long - up to 40 years. This means that the cost for each is about the same, if calculated over the same span of time. Maintenance - Portland vinyl flooring is easier to maintain than linoleum, but both are simple when compared to other varieties of flooring. Linoleum can be swept or vacuumed, and stains can be removed with a rag and detergent as long as they're dried immediately. Vinyl can be swept, vacuumed, mopped, or cleaned with a variety of detergents without risk of discoloring. Decor Considerations - Modern vinyl flooring allows for any pattern to be embedded into the surface of the material, which means almost any realistic, elegant look can be achieved. The color and pattern are only on the wear layer of the vinyl which is why it tends to wear away over time. Portland linoleum flooring is colorfast, which means that the design and colors are present throughout the entire thickness of the material. While this limits printing options when compared to vinyl, it prevents it from wearing and fading as fast. 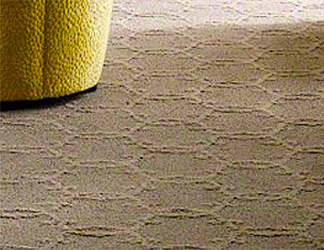 There is far more to your home or office flooring than what you see on the surface. At Area Floors, the same can be said for our group of hardworking in-house specialists, who are eager to show you the many vinyl and linoleum flooring options available in our showroom. Customizing your home to balance aesthetic choices with your lifestyle demands is made simple when you work with professionals who care about the products they sell. We also work directly with contractors and interior designers, empowering their clients to make selections that turns the spark of creativity into a living reality. Come by our Portland showroom today and let us help you find vinyl and linoleum flooring that strikes the perfect balance between form, function, and affordability.